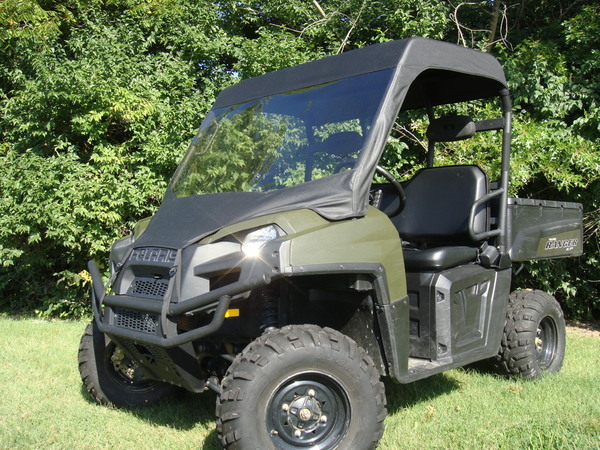 2009-13 Ranger 500 800 XP HD HO 6x6-Windshield/Top-Retail Value-$449.99-ON SALE NOW for $299.99! 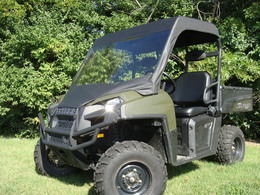 Polaris Ranger XP fter Market Windshield Top combines the vinyl windshield top for great protection during warmer months. 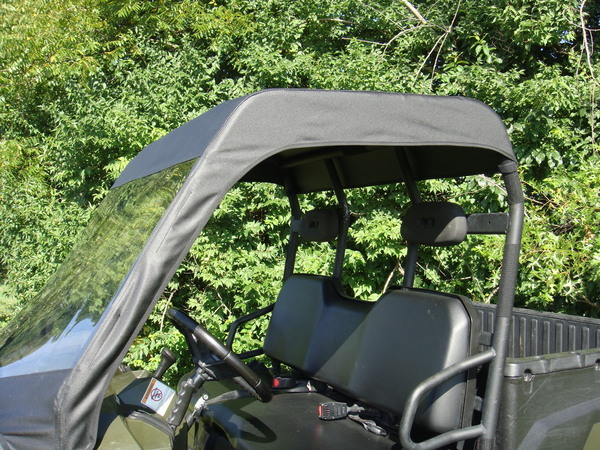 The GCL UTV Windshield Top uses the finest professional grade marine fabric made of 100% polyester with stay-true long lasting colors with stabilized fit of less than 1% stretch or shrinkage. Our marine fabric is water repellent, tear resistant, puncture resistant, mildew and UV resistant. The windshield is made of durable Aqua-View Smoked vinyl allowing for an uninhibited view and total clarity. GCL UTV uses marine sewing thread made from selected high tenacity, heat resistant, continuous multifilament polyester yarns. Along with the highest quality materials, all GCL UTV Enclosures are hand measured and handcrafted to ensure a precise fit. 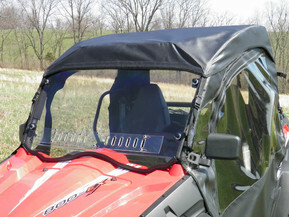 The GCL UTV Windshield Top provides shelter from rain, wind, sun, and snow. The Windshield Top comes complete with self-adhesive Velcro, installation and care instructions. 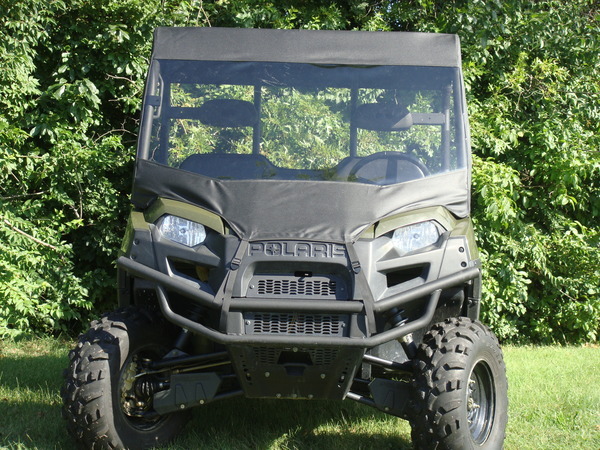 Everything is included in the Windshield Top kit for easy installation, but in case we're needed, the GCL UTV team is just a phone call away at 877-304-0008. *3 Easy Payment Plan is only available with phone in orders.